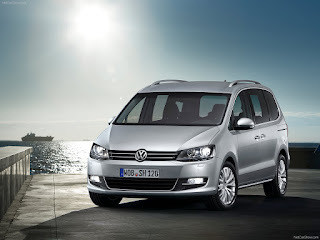 The Volkswagen Sharan is a 7-seat MPV produced by the German automaker Volkswagen and designed to compete with the Renault Espace, the Citroën C8 and the Peugeot 807. 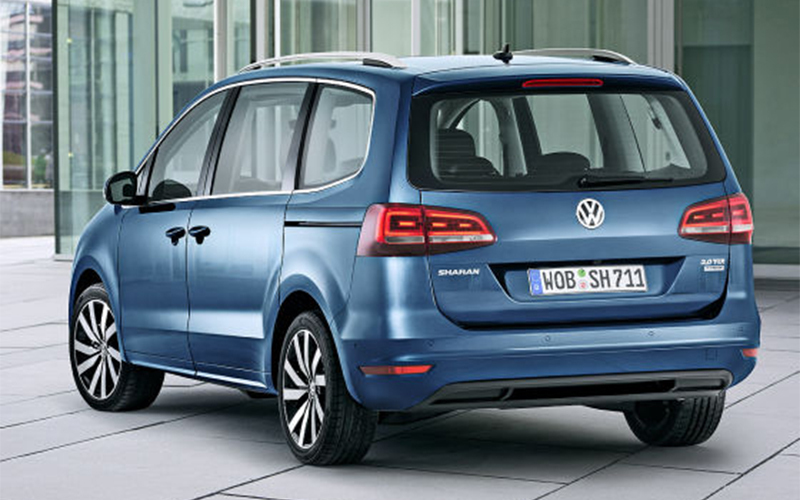 The Sharan is currently in its second generation and is built at the AutoEuropa plant in Palmela, Portugal. It shares the same platform with the SEAT Alhambra, and the first generation was also related to the Ford Galaxy. The name Sharan is derived from a Persian word meaning "Carrier of Kings". 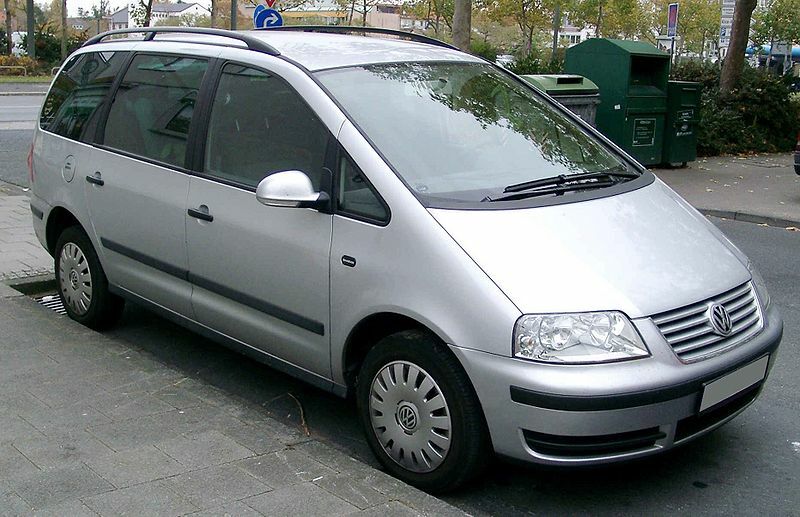 The Volkswagen Group subsequently rebadged the Sharan in 1995, and sold it as the SEAT Alhambra alongside the Sharan. All variants were produced at the joint venture plant AutoEuropa in Portugal, alongside the closely related Ford Galaxy. 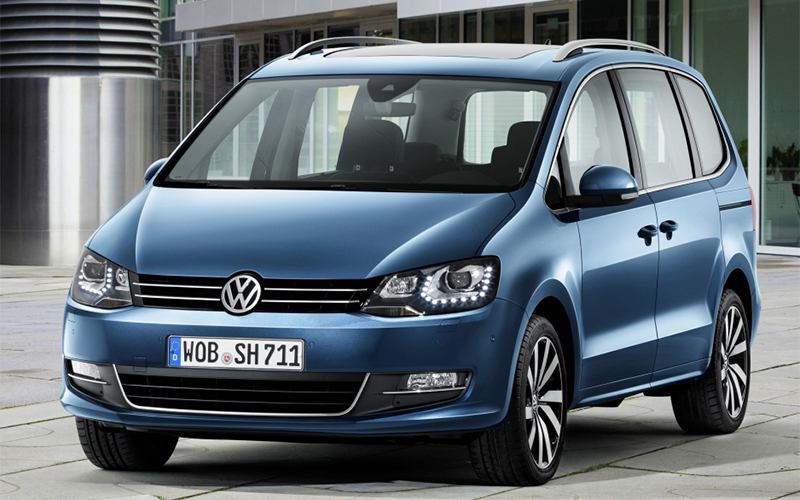 Each of the three MPV models had its own subtle differences in exterior, and, for the Galaxy, in interior design. The first generation's initial design was completed under Greg M Greeson, an American designer employed in Volkswagen's Advanced Design Studio in Düsseldorf, Germany from 1989 to 1990. 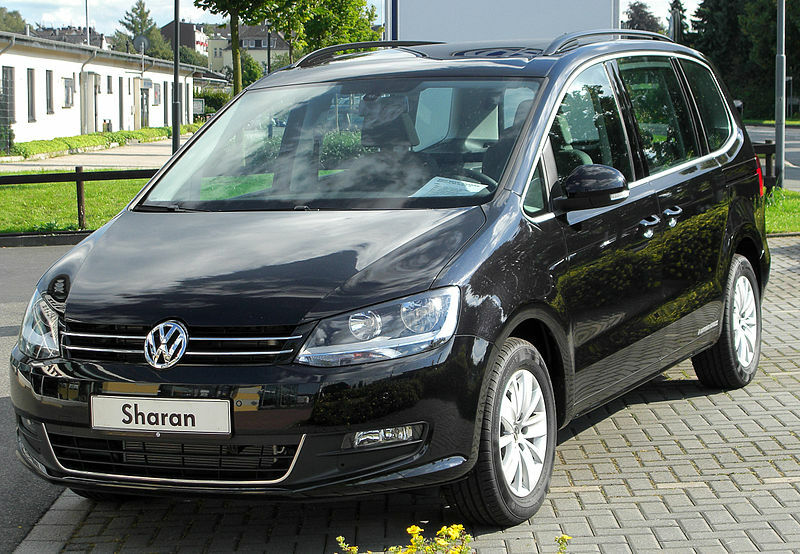 As of 2007, the annual production for the Sharan is in the 50,000 unit range; it is sold in Europe, South Africa and some Asia-Pacific and Latin American countries. In Mexico it was available with the 1.8L Turbo 4 cil 150 hp (112 kW) with 5-speed Tiptronic automatic gearbox in Comfortline trim only, while in Argentina it is available with the 1.8L Turbo and the 1.9L TDI 115 hp 4-cylinder engines, in both 5-speed manual and 5-speed Tiptronic transmissions in Trendline trim only. In total, Volkswagen almost sold 670,000 units of its Sharan over 15 years. The Sharan received a EuroNCAP three-star safety rating when it was tested in 1999. 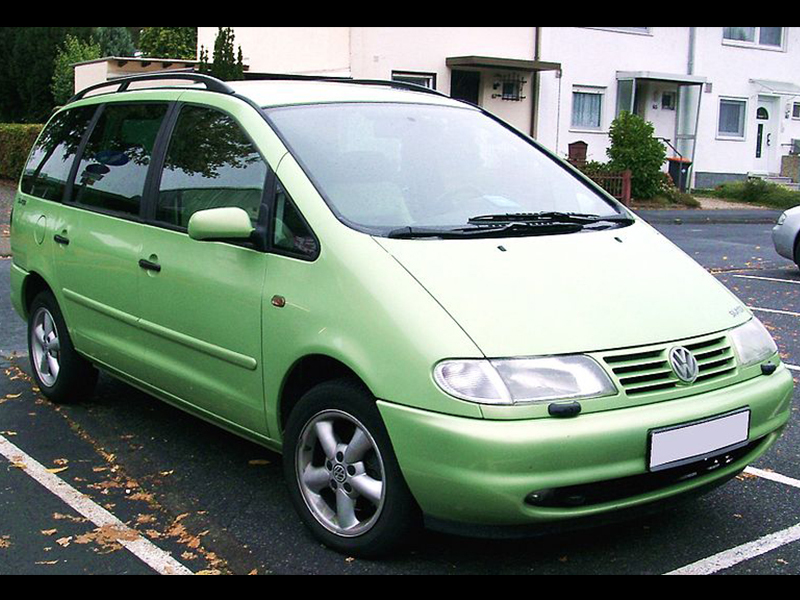 The Sharan and its stablemates received a major facelift in 1999. 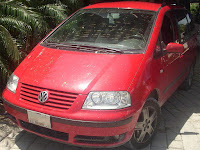 At this time, Volkswagen also extended the wheelbase by 6 mm (0.2 in), increased the front and rear track, and gave it the "Volkswagen family" look of the time. A further minor cosmetic facelift was implemented in September 2003 for the 2004 model year. This changed, primarily, the grille, and tail lights (round). Also, more standard equipment was added, including air conditioning and curtain side air bags. In 2006, Ford independently introduced a new Galaxy which was not based on the Sharan and Alhambra designs from the Volkswagen Group. The new Galaxy was built at a dedicated Ford plant in Limburg, Belgium. 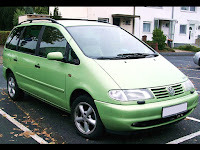 The last first-generation Ford Galaxy rolled off the AutoEuropa line at the end of 2005, while the first-generation Sharan and SEAT Alhambra continued in production - alongside the Volkswagen Eos and the new Scirocco - until 2010. In June 2006, PrinceGas and Volkswagen launched the Sharan with a 2.0 L 85 kW (114 hp) flexible fuel engine, which could work with either petrol or autogas (liquified petroleum gas), providing an additional 450 km (280 mi) range over the regular 2.0L petrol engine. 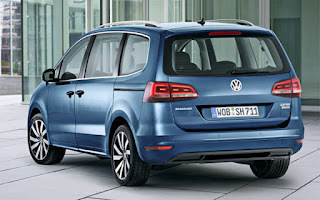 Both fuel tanks, the 70L (18 US gallon) petrol tank and the 60L liquid gas tank combined, give the Sharan enough fuel to cover 730 km (450 mi) between refuels at an average fuel consumption of 9.6 L/100 km. 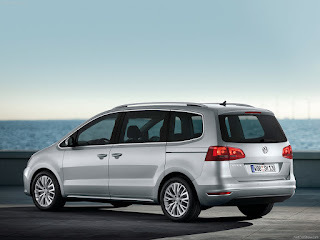 The second-generation Sharan, based on the Volkswagen Passat (B7), was launched at the 2010 Geneva Motor Show and a month later the second generation of its sibling model, the SEAT Alhambra, was officially announced. Weight has been reduced by 30 kg (66 lb). The initial engine range comprises 1.4-litre TSI (148 bhp) and 2.0-litre (197 bhp) petrol options, plus two 2.0-litre TDI diesel engines, rated at 140 PS and 168 bhp (125 kW; 170 PS). The rear doors now slide open rather than being hinged. 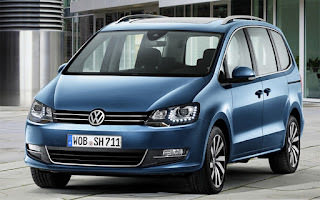 At the 2015 Geneva Motor Show, the facelifted Sharan will be unveiled to the public. It has new electronic systems and engines with reduced fuel consumption. Last updated on 1 June 2015 at 15:39.